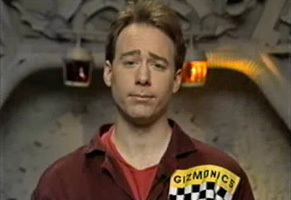 Following up on his recent appearances at the Colonial Theatre, Mystery Science Theater‘s Joel Hodgson will visit the Trocadero on Sunday, January 27 at 3pm for an afternoon program made up of his Riffing Myself presentation followed by a screening of the MST3K episode, The Pod People. It’s a 21+ event and the base ticket fee is $22.50, $39.50 for the VIP treatment. Geekadelphia and The Trocadero are proud to announce “Sunday in the Dark with Joel” a presentation and film screening that celebrates all things Mystery Science Theater 3000 hosted by its star and creator Joel Hodgson. The event features Hodgen’s Riffing Myself presentation, a talk about MST3K, followed by a screening of the classic MST3K episode, The Pod People. Riffing Myself is an in-depth look at the creation of MST3K and the career of its creator and star, told through photos and videos that showcase the influences that affected Joel throughout his life. It highlights the groundwork for what eventually would become movie riffing, Joel’s love of film, and his career as a successful standup comedian. Following the event there will be a meet and greet reception with Joel for those that purchased VIP tickets for the event. The event will be held at The Trocadero (1003 Arch Street) on Sunday, January 27th with doors at 3pm and the event starting at 4pm. Tickets for the 21+ only event are $22.50 for regular admission and $39.50 for VIP. The Pod People (original title Los nuevos extraterrestres, literally The New Extraterrestrials) is a 1983 Spanish science fiction film directed by Juan Piquer Simón. A young boy discovers a lovable alien creature, but the alien’s mother is on the prowl. The film’s original draft was meant to be a straightforward horror film about an evil alien on a murderous rampage, but the producers demanded script alterations in order to cash in on the success of Steven Spielberg’s E.T. the Extra-Terrestrial by featuring a child and cute, lovable alien. Director Juan Piquer Simón was dissatisfied with the final result. The film was largely forgotten until 1991, when it was lampooned by the famed B-movie-mocking television show Mystery Science Theater 3000.